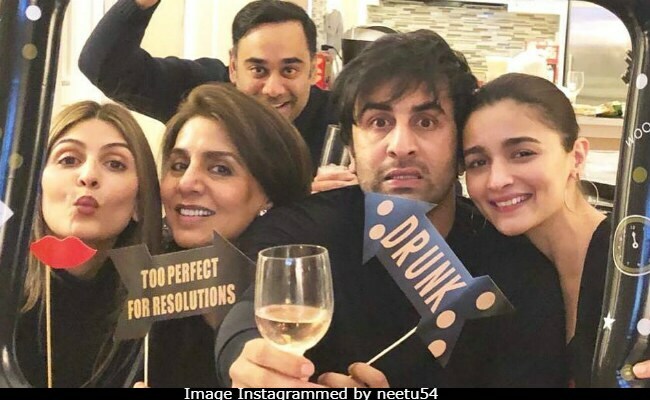 The photo was previously shared by Riddhima on New Year but it's always good to see Alia with Ranbir's family. Alia, who was quick to spot Neetu Kapoor's post, left a comment on Instagram - she sent kisses to her. Aww, so cute. Neetu Kapoor's rapport with Alia appears to be a lot cordial than what was the case with Ranbir's exes - Deepika Padukone and Katrina Kaif. Neetu Kapoor shared a sneak peek from a family lunch, also featuring Alia. Since September, Rishi Kapoor has been in New York for medical treatment for an undisclosed ailment.